Greetings of the most high. We come forward now in this eternal moment of your time with an important message regarding the current energetics that are subsuming Gaia. 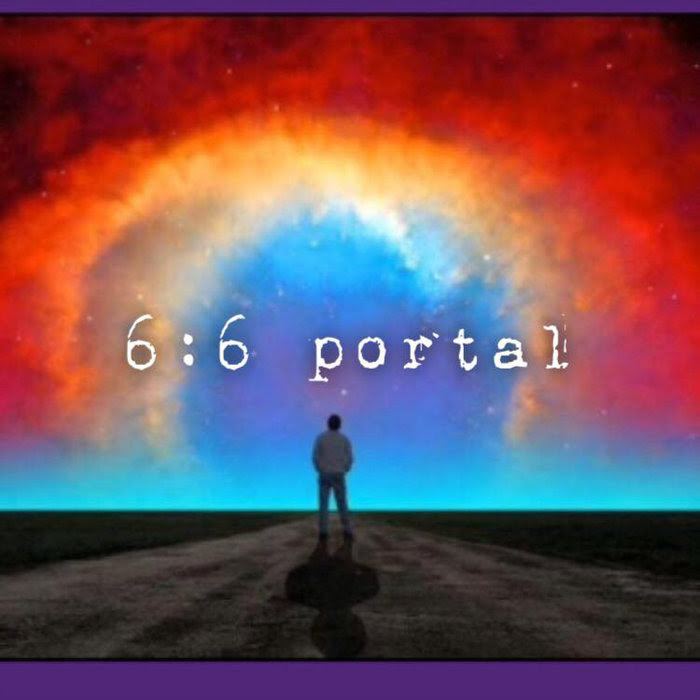 The Earth and all her inhabitants are rapidly colliding with the summer solstice portal of 2018 with the 6:6 portal in the middle. This portal is set to activate the largest galactic dispensation of gamma ray particles that the Earth plane has ever witnessed. This bombardement of photonic light particles is set to perpetually increase in intensity until the time of the great rapture which is aligning in this great year of 2018. If all on this twin soul Ascension Path remember that “I am whole and complete” “I am sovereign” “I am home” “My sanctuary is within me, and in my union to God, and my relationships are a reflection and celebration of my primary relationship with the Divine. As soon as the truth is realised, one is entirely liberated which then automatically liberates the Divine consort of one’s soul. Dearest ones, these current energetics are unprecedented and we urge you all to stay hydrated at all times. It is imperative in order to assist your DNA to complete the metamorphosis from carbon based to crystalline based. The current 3D body/ brain has been functioning at an extremely low level of it’s capacity for the last few thousand years, but all that is on the verge of changing for the entire collective consciousness of humanity. These times herald the activation of the Rainbow Bridge, which is God’s gift to us all at these times that we may Bridge the 3D realm to the 5D realm and beyond, and Bridge the subconscious and conscious mind. All power lies in the human unconscious mind and all of us were created in the image and likeness of Gods and Goddesses, within us all in the vast storehouses of our unconscious mind lies a genie who is able to instantly manifest all that is desired out of thin air, if correct instructions/ beliefs are held in one’s consciousness.. The Caterpillar believes itself to be limited until the day it realises that it was its own Jailor and was the only one who was keeping itself locked into the identification of the 3D realm and through its own choices sovereign choices could it liberate itself in order to activate The Metamorphosis process and the Ascension of its consciousness from being a 3D identified caterpillar to being a 5D Awakened butterfly. Dearest ones, there are no limitations except the ones we impose upon ourselves. This bright and fresh early morning of the golden age has dawned beloved’s, and the time is now to remember your duty and responsibility as a wayshower to stand tall in your kindness and willingness to serve at all opportunities. It is time now for Blu-ray starseeds to come out of hiding for the time for the mission is now. The darkest part of the night has truly passed Children of Gaia, and the early morning son of the golden age is rising now, and all in the galaxy and beyond are preparing for the most spectacular light show the entire Universe has ever beheld. These are the end of time times that all ancient calendars refer to, as well the texts that were stolen and eradicated from the religious scriptures which stored truthful information regarding the role of the Divine consorts the twin soul pairs in this here coming spectacular Revolution of human consciousness. For all are created through the principle of yin and yang and that most definitely applies to souls as well…A soul is not created solely male or female, it is created as a whole entity, as masculine and feminine are two sides of one coin and cannot coexist independently from each other on an energetic spiritual level. The soul is created as a whole entity of masculine and feminine polarity and that is mirrored on the external plane through the connection and recognition of one’s divine eternal consort of ones soul. The great prophecy is unfolding right before everybody’s eyes. A movement has begun in “The event is happening” group that is sparking off golden light embers attracting high vibrating soul family from all across the globe. This living prophecy is largely related to the vast number of twin soul reunions that are aligning in this upcoming solstice Gateway. Dearest ones the next transmission will be held on the 6:6 portal at 6:06 p.m UK time. Again we are being called to work with our Pleiadian Star Family through Queen Diana Spencer and her divine consort. We will be coming together to receive The pleiadian golden Rose attunement. This is a powerful upgrade which is being dispensed at this time in order to assist in the earthing and physicalization of the many genuine twin soul unions that are anchoring at this time. This is a highly auspicious blessing/attunement to receive, that will assist the Earth collective Consciousness to be able to anchor the waves of Divine Grace and Bliss that the great Rapture has already begun to deliver. Activating those deep unconscious memories of all of us standing together to behold Lemuria rising up from the depths of the ocean once again, as Earth is able to finally hold her vibration. 99% of space is empty, and awaiting your command. This entry was posted in Uncategorized and tagged heavy bombardment, June 6 portal, love, photonic light particles, summer solstice portal, twin souls. Bookmark the permalink.